One of the best ways to raise money for a charity is to host a fundraiser event. Professional event planning can be a huge asset for this type of project, especially if you are anticipating a large turnout. It pays to work with a planner who has experience working with fundraising events, as it is essential for money to be raised to support the charity. 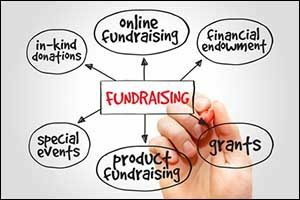 Fundraisers can be very time-consuming and also very costly to put on, but if you have a plan and know what you are doing, they can be very profitable. When you start to plan to host fundraiser events in Swansea at a local banquet facility or other Southeastern Massachusetts event venue, it is important to define your goals. What do you hope to get out of the event? Do you want to gain a bunch of smaller supporters or is your goal to reach out to a bunch of large sponsors? Do you want to also gain publicity or have the opportunity to brand your charity to the local public? Make sure to write down your primary goal, but also list other additional goals that you hope to achieve during the event. Bonus Tip: When creating a financial goal, don’t forget to figure in your overhead costs for hosting the event. Vendors, facility costs, professional event planning services, catering, entertainment, as well as any other expenses, should all be taken into consideration. Before you sign any contracts for the Southeastern Massachusetts event venue or any other vendors, make sure that you sit down and create a budget. This should be a big part of setting your goals, but an itemized budget should allot for all of the things you need to purchase, all of the people you need to hire, and all of the services that you require to pull off the event. You don’t have to detail every single expense, just be general about what you need to spend. For example, you could list “decorations” and provide a dollar amount. You don’t have to spell out how much for balloons, how much for a helium tank rental, etc. However, the more detail that you can provide, the better. It is also important to determine who will be in charge, who will do the work, and who will supervise to make sure that everything gets done properly. In some situations, having a committee can be helpful or, at the very least, a meeting of employees or volunteers to discuss what needs to be done. It is important to know ahead of time who will be responsible for what. Depending on the size of the event at the local banquet facility, you may want to appoint team leaders and have each team be responsible for a portion of the event. Bonus Tip: A host committee is a group of people who are responsible for contributing a large amount of money to the event. They are also charged with encouraging other people within the community to do the same. Wealthy donors, local business leaders and even local celebrities, are usually the people who volunteer to be a part of this type of committee. While they do not take care of the tasks required to run the event itself, they are a big part of helping your charity to achieve its goals. It is also very important to think about who you will be marketing the event to at the Southeastern Massachusetts event venue. Your approach will be different based upon the type of charity that you are supporting, what it is that you are selling, the type of event that you are hosting, and who you think will attend and support your fundraiser. You should identify the group to host fundraiser events in Swansea before you start putting down deposits or spending any money. In some cases a more family friendly event will do better than a black-tie “grown-ups only” kind of event, so it pays to understand your demographic and work closely with your professional event planning coordinator. 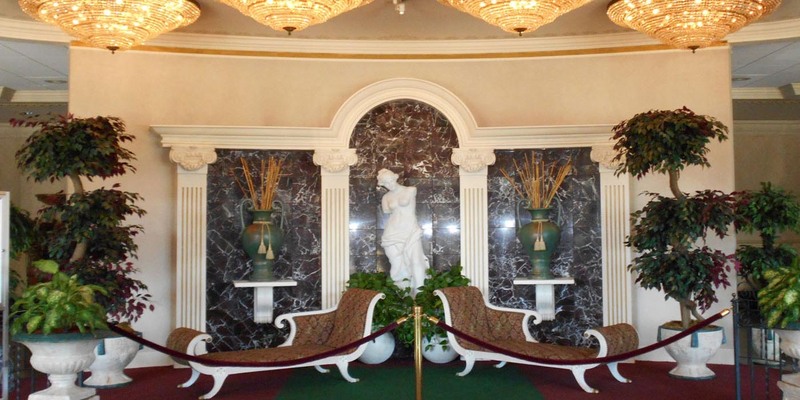 Contact the conference center and banquet facility at the world-famous Venus de Milo to host fundraiser events in Swansea. If you are in need of a Southeastern Massachusetts event venue to raise money for local sports, community groups, programs or services, give us a call at 508-678-3901 to take a tour of our facility or to find out about availability. While we are well-known for hosting beautiful weddings in our gorgeous ballroom spaces, we also provide services to business conferences, community meetings, fundraiser events, parties and much more.